NSAC District of Columbia, also known as Social Anxiety Help, is located in the Tenleytown – American University neighborhood of northwest Washington, DC, a few blocks from the red line Metro: 4808 43rd Place NW. Services offered include individual and group cognitive-behavioral therapy for social anxiety and related problems. Specialized services are offered for the LGBT community. Our psychotherapists have achieved the rigorous certification in cognitive-behavioral therapy (CBT) by the Academy of Cognitive Therapy. Outcome studies demonstrate that CBT is the most effective treatment there is for social anxiety. 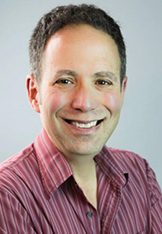 Larry Cohen, LICSW, began his clinical practice, Social Anxiety Help, in 1990. A licensed clinical social worker, Larry has led more than 90 social anxiety therapy groups (20 weeks each) in Washington, DC, as well other cognitive-behavioral therapy groups for clinical depression, self-esteem, relationship problems, and LGBT concerns. He has worked with well over 1,000 persons with social anxiety and related problems in both individual and group CBT. Larry’s social anxiety therapy group was the focus of a National Public Radio story on CBT. Larry cofounded the National Social Anxiety Center (NSAC) in 2014, and has served as NSAC’s Chair ever since. Larry received his Masters in Social Work from the University of Michigan in 1987. He is a founding member of the National Registry of Certified Group Psychotherapists. He is a Diplomate in cognitive-behavioral therapy from both the Academy of Cognitive Therapy, as well as the National Association of Cognitive Behavioral Therapists. Larry is also a certified in Trial-Based Therapy, helping people use role plays to change unhealthy attitudes. He is included as a “Top Therapist” in Washingtonian magazine’s latest listing in the category of cognitive-behavioral therapy. Prior to starting his private practice in 1990, Larry served as volunteer coordinator and mental health services director at Whitman Walker Clinic, DC’s largest LGBT and HIV services organization. Larry is an in-network provider with Medicare.